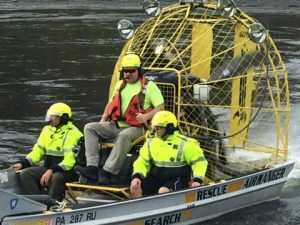 Women stranded on the Delaware River Thursday. 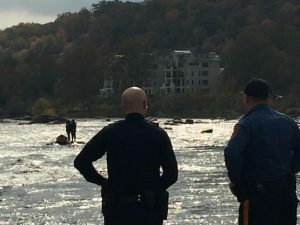 Two women in a kayak went over the wing dam south of the New Hope-Lambertville free bridge across the Delaware River at around 1:45 p.m. Thursday. 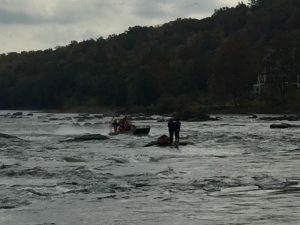 The stretch of water is known for its dangerous currents. The duo were spotted standing on some rocks just south of the dam, their kayak floating nearby. 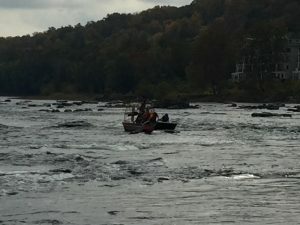 Fire and rescue units were called out from New Hope and Lamberville, and reached the stranded pair nearly simultaneously. 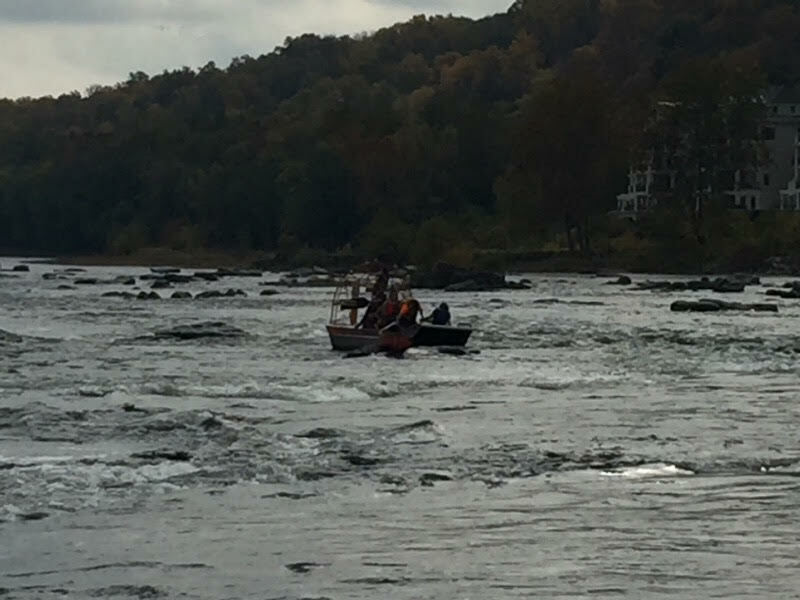 View from the sidelines: a very fast, effective and coordinated rescue. Rescued by crew on fan boat.